Contemporary and stylish, the bustling Marbles Hair & Beauty salon is ideally located on Cruises St. in the heart of Limerick City. 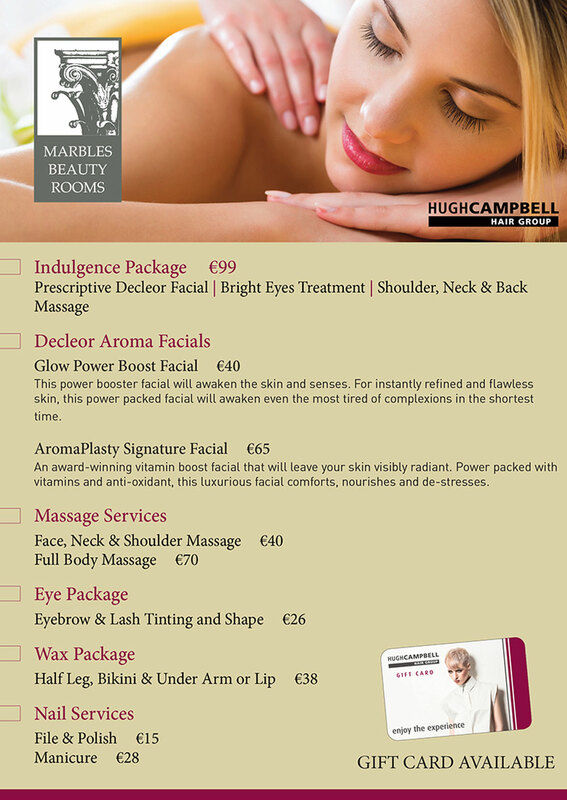 Situated in the main shopping area with many high street retailers on our doorstep. Boasting an award winning team of forward thinking stylists and creative colourists all dedicated to exceeding their clients' expectations to ensure they leave looking and feeling fabulous. We have specialised consultants available for Great Lengths hair extensions, Brazilian blow-dry smoothing systems and bespoke bridal services. 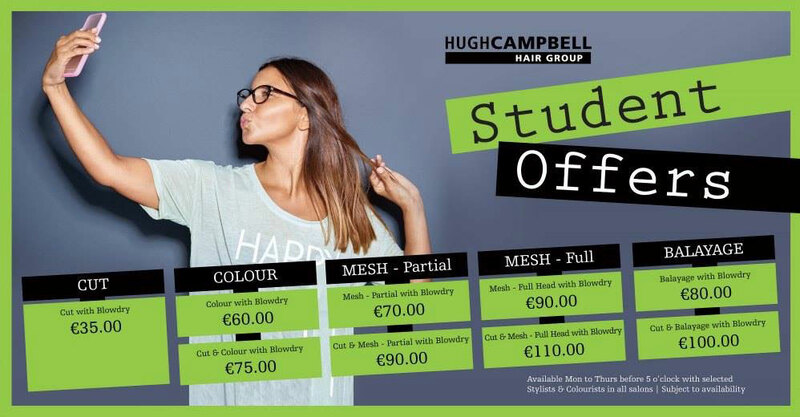 Avail of your very own private hairdressing space in Marbles for special occasions. *Patch test required 24 hrs before your first tint/wax service. *Patch test required 24 hrs before your wax service. I booked an appointment two days ago in Marbles Cruises St. for a haircut. I was taken within half an hour of making the call, which was fantastic as I thought I may have had to wait a day to be seen. From the minute I walked in to the salon I found everyone to be friendly and very professional. Ruby was my hairdresser for the day. She was a gem. I am the kind of person that finds it hard to describe how I want to get my hair done, so if I think that the stylist doesn't understand what I'm looking for I get nervous...silly I know. I felt that Ruby knew what I wanted but what really reinforced this was when she showed me all the different hairstyles on an ipad and asked me what I liked or which one I was more geared for. I felt I had nothing to worry about when I knew she understood what I was looking for. Long story short, I have a fantastic new haircut that I LOVE and everyone is complimenting me on! Fair play to Ruby, she did a brilliant job! She worked on my thick head of hair for a long time, and I'm most sure she was working into her lunch to finish my hair! I will be back again for sure. Thanks to all at Marbles. 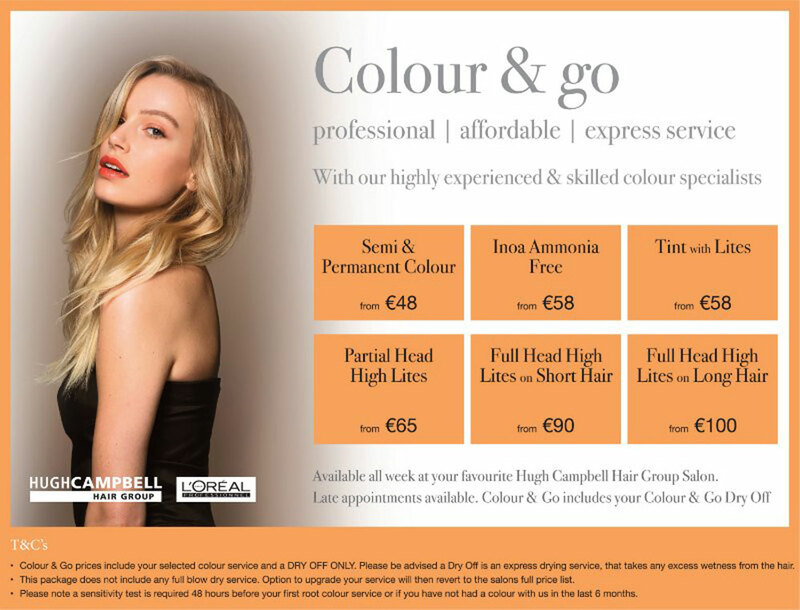 Hi just to let you know my visit to your salon Yesterday for a colour correction done by Tim and haircut by Paudie was very impressive. I found the salon to be very we'll managed which I noticed almost immediately and the customer service excellent will be back thks. Thank you for your txt re; my visit to Marbles yesterday. It was my first time and I thoroughly enjoyed my visit. I usually go to a friends salon. So why did I decide to visit Marbles? I was given a gift card for Christmas. Needing my hair to be cut I made an appointment and was assigned to the lovely Ruby. What a lovely pleasent and attentive girl. I am very pleased with the way she styled my hair and the way she talked me through her proposed style. So. where I don't want to upset my friend I think I will now be moving between two salons!!!!!!! I certify that this review is based on my personal experience of Marbles Hair & Beauty and is my opinion. I have no business or personal link with Marbles Hair & Beauty and have not been offered payment to write this review. By providing these comments you give Good Salon Guide permission to review and publish this information. Good Salon Guide reserve the right to edit comments for length, spelling or clarity where appropriate. As part of this appointment request Good Salon Guide will record your name, email address, telephone number and appointment details. This information will be passed to Marbles Hair & Beauty by email, through the Good Salon Guide app and over the telephone. This data will not be shared with any other companies and we will manage your data in line with your preferences below.